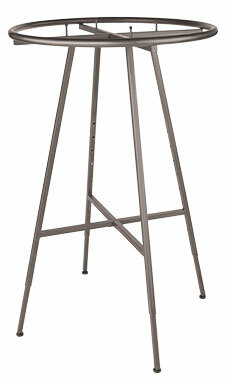 The Raw Steel Round Rack is a retail sales floor essential and a wonderful addition to any retail environment. Our Raw Steel Round Rack features a mottled brushed metal finish with a 36" diameter hangrail ring and adjustable legs that adjust in height 48" to 72". Additional locking and non-locking casters are sold separately.